Litecoin has quickly risen from obscurity to become one of the world’s most popular, well-known and most valuable cryptocurrencies. A peer-to-peer Internet currency that enables instant, near-zero cost payments to anyone in the world. 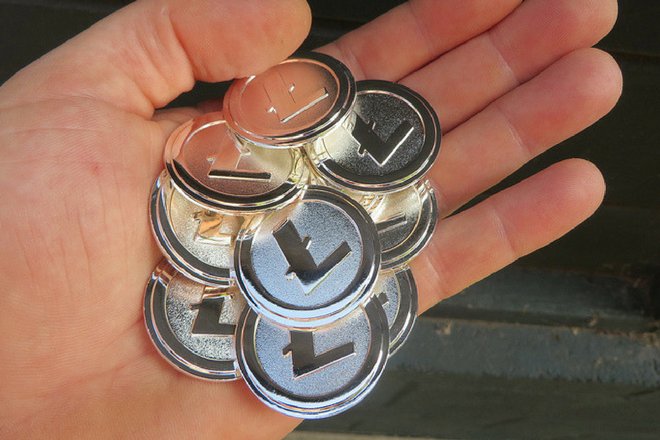 Litecoin is an open source, global payment network that is fully decentralized without any central authorities. Simply put, Litecoin is a low cost, decentralized cryptocurrency used to pay for everyday items instantly. Litecoin ranks as one of the top 5 most valuable cryptocurrencies in the world by market cap, behind Bitcoin, Ethereum, Ripple and Bitcoin Cash. Litecoin was developed by Charlie Lee while he was still working for Google and went live on October 7, 2011. This makes Litecoin one of the oldest cryptocurrencies. The source code itself was a fork off of the Bitcoin Core Client with a few notable changes and improvements such as decreased block generation time, utilizing different hashing algorithms and decreasing the time needed to process payments. Litecoin was founded by Charlie Lee while he was still working for Google. During his time with Google, Charlie worked on some notable projects such as Google Play Games, Chrome OS, and YouTube. He has a BS and Masters from MIT in both Electrical Engineering and Computer Science. Lee left Google in 2013 to work for Coinbase full-time. Coinbase now is one of the largest cryptocurrency exchanges in the world. Lee has since left Coinbase and now works full-time on Litecoin. Litecoin now has a full team of developers working on various aspects of the coin. A full list of the development team can be found here. For those of you interested in purchasing Litecoins, you’re in luck. Litecoin is one of the most popular cryptocurrencies out there and it is available on pretty much any crypto exchange. It’s easy to buy Litecoins as they can be traded directly for your own fiat currencies. This is in contrast with other cryptocurrencies where the only way to buy is to first buy Bitcoin, and then exchange the bitcoins to the coins you want. If you’re new to cryptocurrency investment and want to learn more about how to buy coins, refer to “How to Buy Litecoin (LTC)”. There are various Litecoin wallets available for free that you can download to store your coins. Windows, Mac OS X, iOS, Linux, Android and Blackberry are all supported operating systems. In addition to these “standard” wallets, Litecoin has a few other options such as Electrum LTC, LiteVault and LiteAddress. Electrum LTC is a lightweight wallet that doesn’t require you to sync to the network to use. Instead, all you need is a 12 word security password and you’re good to go! LiteVault is an online wallet which functions within your web browser utilizing in-browser cryptology. This allows you to access you coins from any computer. To protect your security, LiteVault never sees your private keys, keeping you safe from hackers. LiteAddress enables you to generate your own paper, vanity and brain wallets. Links to each wallet can be found on the Litecoin website. How is Litecoin Different from Bitcoin? Since Bitcoin is the household name in the world of cryptocurrencies, it is useful to compare Litecoin to Bitcoin to give you an idea of why you should even care about Litecoin in the first place. Litecoin is nearly identical to Bitcoin as far as its original intended use; however, there are some notable differences as far as functionality goes. 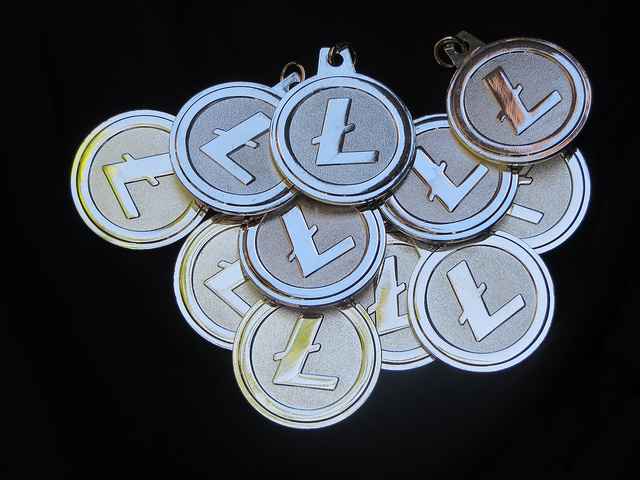 The Litecoin blockchain is capable of handling higher transaction volume than its counterpart – Bitcoin. Due to more frequent block generation, the network supports more transactions without a need to modify the software in the future. As a result, merchants get faster confirmation times, while still having ability to wait for more confirmations when selling bigger ticket items. Litecoin as much faster transaction times. Money sent via Litecoin generally will appear in your wallet within a few minutes, while with Bitcoin this can take 10-15min. Transaction fees are significantly lower with Litecoin. The longer the block, the more you have to pay the miners for the transactions. Litecoin has smaller blocks than Bitcoin, hence lower fees. Litecoin has some notable technical improvements such as Segregated Witness (SegWit) and the Lightning Network. Litecoin is better at dealing with high transaction volume, something that has been a major problem for Bitcoin and Ethereum in the past. 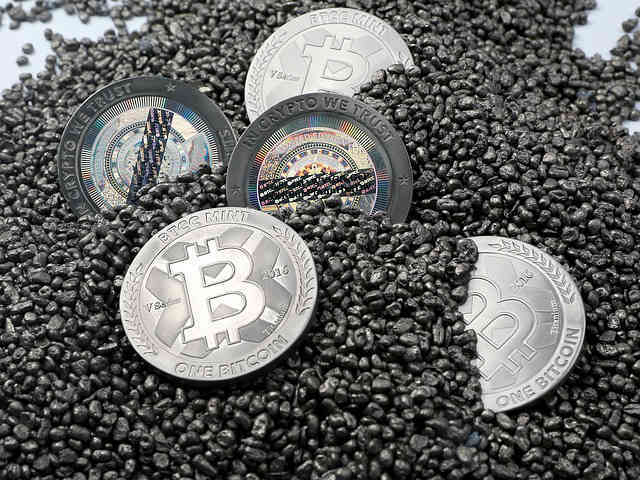 There will be a total of 84 million Litecoins mined, an amount that is 4x that of Bitcoin. Right now Bitcoin has a huge scalability issue. Even with the changes Bitcoin introduced on August 1, 2017, Bitcoin still will never be able to serve every user in the world. As Bitcoin’s popularity increases, so will its fees. This isn’t such a big deal for large infrequent purchases, like maybe buying a car or a house. But what about for buying a cup of coffee? Litecoin offers a solution to these problems by offering a low-cost and instantaneous transaction, with the ability to scale their network much larger than Bitcoin. This is a problem Litecoin is able to solve by learning from Bitcoin’s mistakes. To help users better understand the differences and similarities between the two coins, Bitcoin is commonly compared to gold, while Litecoin is compared to silver. Traditionally, gold has been used just to store and keep safe, while silver was made into coins and used for common purchases. The analogy of gold and silver refers to the usefulness of the coin, not the value itself. Since there will always be less Bitcoin available (like gold), it tends to be used less but is worth more. However, since there are more Litecoins (silver) available, it gets used more but is worth less. For this reason, it is much more likely that Litecoin will be used for small everyday transactions in the future. Think about it: would it make sense to pay for something small with gold? You would need to have very very small quantities of gold to pay for what you wanted to buy. Imagine trying to pay for your groceries with a bit of gold dust! But since silver is less valuable by volume, it is much more useful for everyday use. In theory, you can use both gold and silver in the exact same way. You could buy a house with a truckload of silver coins (Litecoin) or with a single bar of gold (Bitcoin). You get the same end result – a piece of value exchanged for something deemed to have a very similar value. Litecoin has all of the functionality of Bitcoin with notable improvements. It is likely that in time Bitcoin and Litecoin could become the gold and silver standards, not just for purchases but for all other coins and tokens. In the future, when you need to purchase another type of coin or a physical product, you could just swap the coins you already have for what you need. A good way to think about this is the way that you buy fuel for your car. Just because you have a car doesn’t mean that you need to buy crude oil barrels. You simply go to the gas station when you need to and exchange your money for what you need as you need it. While it hasn’t received all of the press and hype of Bitcoin or Ethereum, Litecoin has all the ingredients to become one of the world’s standard currencies once cryptocurrencies become widely adopted in the future. Jacob is an engineer and cryptocurrency enthusiast. When he's not spending his time scouring the internet for all things crypto, he's probably out in the mountains climbing the steepest cliff he can find. He currently resides in Medellin, Colombia. If you're in town and looking to meet up, comment here! Thank you Charlie for that article, most of my CC’s are in the big three and about evenly divided. I almost sold all of my LTC today in favor of the faster growth of ETC but I know it is like a seesaw. The real question is, is it functional and will it be in demand and does it connect with ETC and future smart contracts. I will stay the course and keep an even and steady tri stool of legs for the CC market ahead. I will put some profits in gold and have a solid 4 legged table for the economy as I see where the Blockchain is headed leading a confused population. For long-term storage I use cold wallet as Ledger and another currencies (for trading) I keep on market. For currency exchange I use BestChange website. They convert USD-BTC-ETH and tons of it in seconds. I know it’s not safe but I keep your cold wallet without usage and that’s the biggest success for safety.